Hey there, it's time again for a visit to my little neighborhood jam stand and get your fill of some freshly made artisan jams made by your truly. I have at least a couple dozen varieties of your favorite seasonal flavors you've been missing like Santa Rosa Plum, Apricot, Bing Cherry and my famous White Peach Lavender Jam among others. 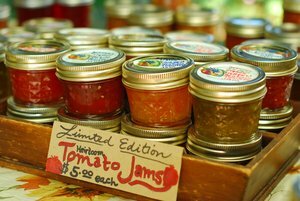 So gather up your empty jars for me, tell all your friends about it and swing by my sale on your way to the beach! 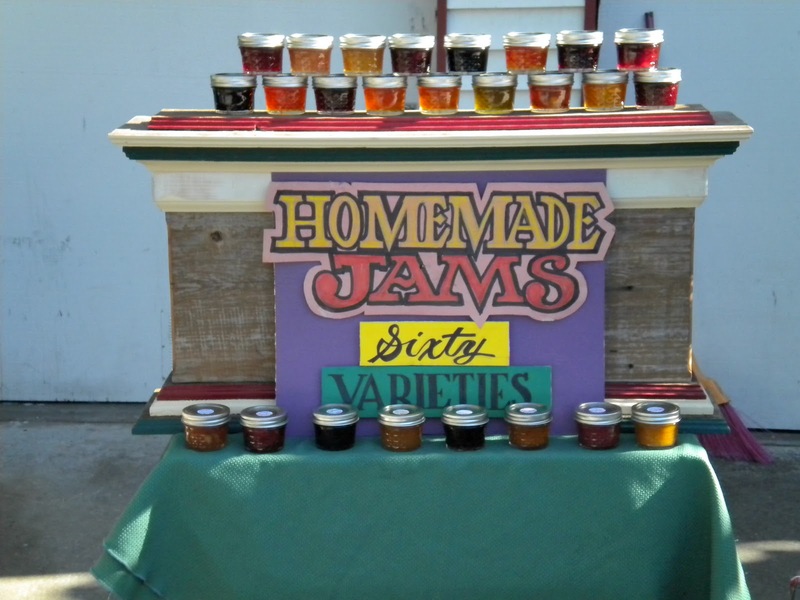 My jam stand will be open from 10-4pm Saturdays and Sundays at 530 Windham Street (Click here for directions)) I will have my stand open for 3 weekends before I am off to do the SF Underground Market again. Hello there jam fans! I'm back at it again- putting sunshine in jars. You can have first dibs on fresh batches of seasonal favorites if you visit me this Saturday in Oakland, for a merry late afternoon evening of eat, drink and be merry foodie fest hosted by ForageSF from 5-11p at Broadway & 24th Street. There will be live music and beer and wine. It's cost only $2 just visit the ForageSF link above to print out your tickets. Can't wait to see my East Bay Peeps! 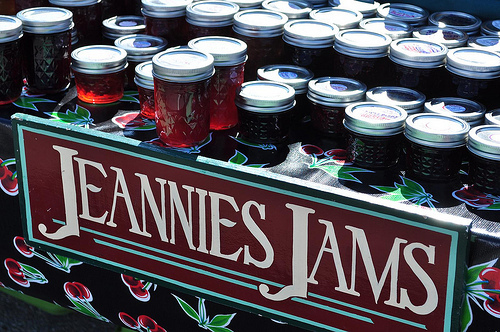 And don't forget your jars! When Life Gives You Lemons....Make Marmalade! 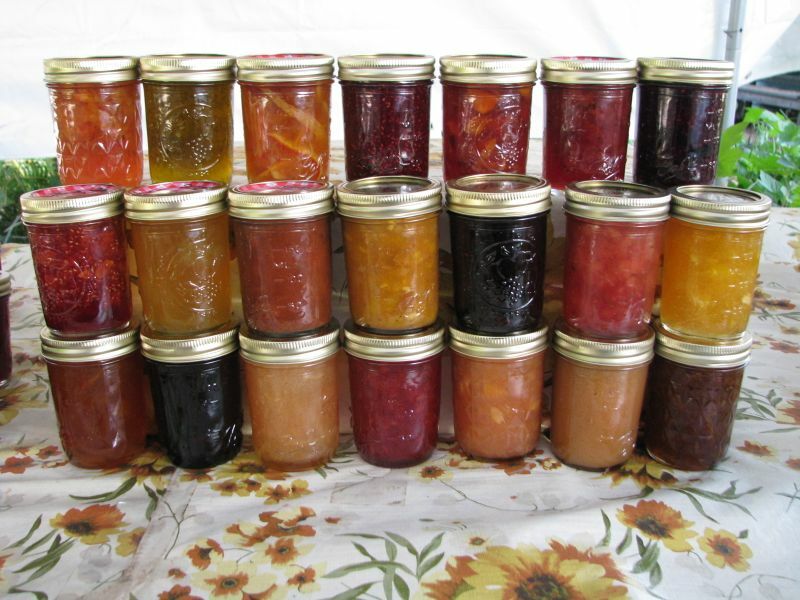 By years end I'm so exhausted from the long season of canning and selling my jams I escape all things "kitchen" for the holidays. Recently while on vacation in Arizona, a friend brought me Tangelos and fresh Kumquats she'd just picked. The next day another friend brought over Grapefruits from his backyard. Ok I thought, its only the second day of my vacation. I had envisioned a little more time to relax and dream of the citrus of my future. Oh well, as luck would have it, I was working. After eating my fill of those luscious Tangelos I made a couple of batches each of regular Tangelo Marmalade and some with Royal Crown Whiskey. I like the idea of Whiskey with citrus. Kinda reminds me of a "Hot Totty". Did you know that a Tangelo is a cross between a Pummelo and a Tangerine? Cool huh? Next I made Kumquat Marmalade. I usually add orange to the marmalade but I added clementines for a change (besides I didn't have any oranges but an obscene amount of clementines.) Kumquats are used medicinally in Asia, as a tonic of sorts. Makes sense since Citrus originates from the area. The hardest project though proved to be the Grapefruit. I carefully peeled the rind from the grapefruit for what seemed like hours to ensure none of the bitter pith was attached to the rind and made sure the cut strips were uniform. I set aside more than half of the peel for candying later and added the rest to the sweet yet bitter bright pink flesh. When I arrived home I was so excited to see the Meyers Lemon tree was LOADED with ripe lemons! 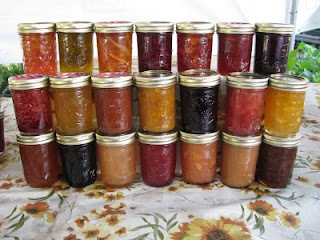 More for my Strawberry Lemon and Mango Lemon Marmarlade and the glorious Meyers Marmalade. You can never have too many lemons! 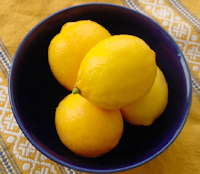 I am amazed that people in my neighborhood don't pick their Lemons and other citrus loaded trees in their front yards. They are the treasures of the winter. Free, organic and just right for winter's chill. 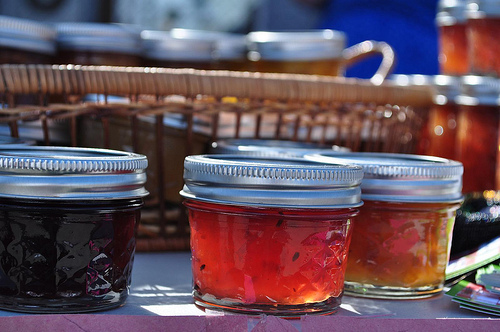 MY FAVORITE is Blood Orange Port Marmalade. When you slice them they are like sunsets inside. When you add the Port in the end it it sizzles and really makes it a lovely deep garnet color. I love making marmalades. They are truly like capturing sunshine in jars!